In today’s job market, developing a professional online presence is a must for any IT expert, especially since LinkedIn has become the mainstream method for recruiting. Current statistics indicate that out of 120,000 IT specialists in Romania (according to ANIS), approximately 110,000 Romanian LinkedIn users are working in the IT industry according to LinkedIn stats (~ nearly 92%). One thing is clear – if you need your LinkedIn profile to be more visible, you need to take certain steps to make that happen. The headline bit of your profile is critical. A great headline is ought to give a quick glimpse of who you are and what you do, and entice individuals and most importantly IT recruiters into clicking on your profile to discover more. Consider your target audience and what you bring to the table, and capture that in a short, yet snappy sentence that tells about your IT skills and experience, and how you can be useful to employers looking for IT professionals. Make sure you insert keywords from your profession in your headline as well, so that an IT recruitment consultant searching for a candidate in your area of expertise is able to find you. Keep your profile updated and watch as opportunities start rolling in. The summary section is the first opportunity you get to explain who you are, so make it enticing. Use the summary to answer the classic questions of “who, what, when, why and how.” Explain who you are, what you have accomplished and when you did it and why you are passionate about IT. This is by far one of the most important aspects in your LinkedIn profile. It’s easier for an IT recruiter to identify and match your profile for current job openings if you specify what programming languages, frameworks, along with databases you’re experienced with. Include any certifications you have on applications, hardware or systems. The more tech skills you include, the more chances to be contacted by a recruiter with opportunities of real interest. Thus, you’ll no longer be assaulted with so many emails/phone calls, but according to your expertise for the post. Open yourself to new opportunities by connecting with other IT professionals just like you. The more connections you have, the better chances to come up in an IT recruitment consultant’s search results. 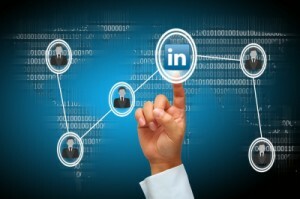 Make use of LinkedIn endorsements and recommendations wisely. This is a strategic move to stand out from the crowd. IT recruiters love to see that someone else took the time to vouch for you. Joining LinkedIn groups gives your profile a boost as well. But unfortunately that’s not enough to stand out. Contribute to these groups periodically in a positive and professional manner and you’ll make yourself noticed. IT staffing recruiters are just around the corner waiting for the right candidate. LinkedIn is one of the best tools used by recruiters and candidates alike for the IT recruitment process. With all of its standard and premium features, LinkedIn is not only a place for you to find your dream job, but also a place to stay on top of new trends and developments in the IT industry. Remember, LinkedIn is a great tool to promote your career, but it only works if you use it wisely.